Alibaba is getting sued by major luxury brands including Gucci for allegedly allowing the sale of counterfeit goods online. Alibaba is getting sued again by Kering, a luxury brands group that includes Gucci and Yves Saint Laurent, over counterfeits on its popular e-commerce platforms. The lawsuit, filed last week in New York, alleges that Alibaba (BABA) and its related companies "knowingly encourage, assist, and profit from the sale of counterfeits on their online platforms...[and] make it possible for an army of counterfeiters to sell their illegal wares throughout the world," according to a copy of the filing. Counterfeits have long been a headache for Alibaba, which operates China's most popular e-commerce shopping platforms, Taobao and Tmall. Co-founder Jack Ma has even called fakes a "cancer" to the company. And while Alibaba insists that it has continued to fight fakes -- taking down listings and even banning sellers -- counterfeits continue to be an uphill battle. "Unfortunately, Kering Group has chosen the path of wasteful litigation instead of the path of constructive cooperation," said an Alibaba spokesperson. "We believe this complaint has no basis and we will fight it vigorously." This is the second time Paris-based Kering has gone after Alibaba. Last year, the luxury company filed a similar lawsuit in the U.S., only to withdraw it within weeks after "constructive dialogue" with Alibaba, according to a joint statement. Earlier this year, the Chinese government released a scathing report that accused Alibaba of turning a blind eye to illegal activity, and failing to police its online marketplaces. The company was "far too lax" in its business operations, allowing some merchants to sell counterfeit goods, from designer bags to smartphones, according to the State Administration of Industry and Commerce (SAIC). The report was the result of a meeting in July 2014, though details weren't disclosed by the Chinese government until January 2015. 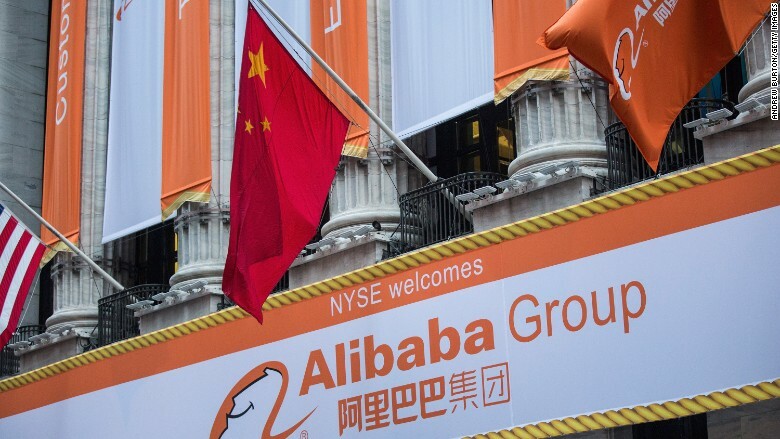 A lawsuit is currently pending against Alibaba for failing to disclose to investors that it was meeting with the SAIC. Last year, in its IPO prospectus, Alibaba even warned potential investors that it could come under fire for alleged counterfeit activity, as it did between 2008 and 2011, when the Office of the U.S. Trade Representative labeled Taobao as a "notorious marketplace" with "widespread availability of counterfeit and pirated goods." Alibaba has previously said it spent 1 billion yuan ($161 million) over the last two years to battle intellectual property infringement and boost consumer protection. Kering takes "seriously its obligation to protect its customers from being defrauded by counterfeiters selling goods of inferior quality," a company spokesperson said. "This lawsuit is part of Kering's ongoing global effort to maintain its customers' trust in its genuine products." Other Kering brands include Stella McCartney, Alexander McQueen, Balenciaga, Bottega Veneta and Puma.